Our series of interviews conducted at Star Wars Celebration Europe continues! Today we’ve got one of the first interviews from the show, featuring Bryan Young (pictured, from his Twitter profile). 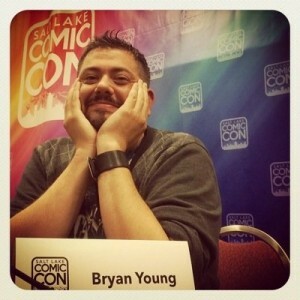 I caught up with him after a panel discussion and asked him what excites him most about Star Wars right now. 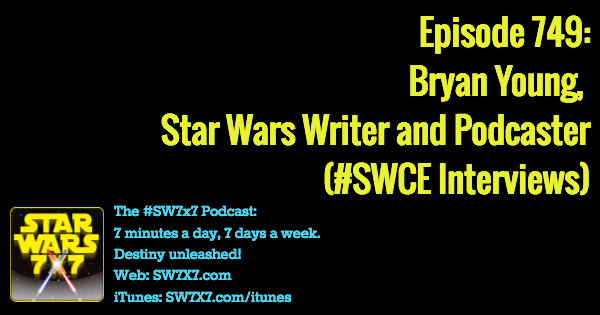 Listen to his answer here, and if you’re not already a subscriber to the podcast, join us on iTunes or search “Star Wars 7×7” on your podcast app to make sure you hear all of our interviews, as well as our wall-to-wall coverage of Star Wars Celebration Europe. Today’s question: What feature of the blaster Han gives to Rey initially causes her some difficulty?